Radio info...Our Loving Children...Clink Mic to listen! 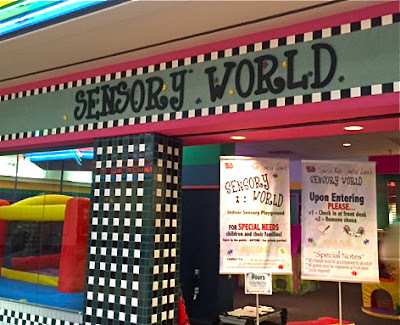 Sensory World is a new, indoor playground at the Southbridge Mall designed for families who have children impacted with autism and other special needs. You can find Sensory World across the hallway from Subway. The playground is currently open every Saturday between 1-4 p.m. Admission is free and staff plan to add more days and hours soon. Sensory World is operated by the local nonprofit organization Special Kids Special Needs whose mission is to, "provide advocacy, support, and love for children, youth, families, and care givers affected by Autism, Asperger's Syndrome, and Autism Spectrum Disorder." 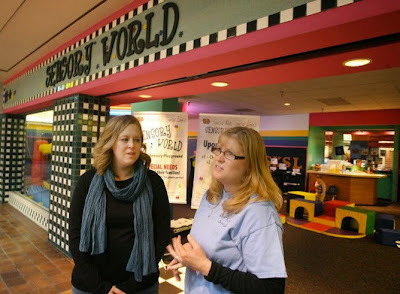 Once you arrive at Sensory World, simply check-in with one of the friendly staff members at the front desk. The atmosphere is both fun and peaceful. There's a lot for kids to experience at sensory world from inflatables to tents. 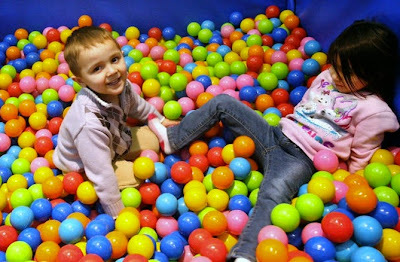 Kids will enjoy playing with a large variety of toys and finding things to climb and jump on. While Sensory World does not provide childcare, the staff will shower you with a warm welcome and support you and your family as you explore the playground together. The staff at Special Kids Special Love also offer a support group every second Tuesday of each month. You can attend the next meeting at Sensory World on January 13th from 5:30-7 pm. It's open to families who have children with special needs, people who want to learn more about children with special needs, and people who would like to help. The playground is only open to families who have children with special needs during operating hours, but is available for anyone to rent by the hour for special events and birthday parties for only $25/hour. 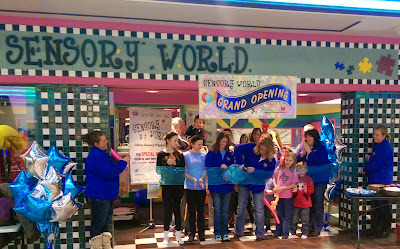 Learn more about Sensory World on Special Kids Special Love's Website and visit their Facebook page for updates. Contact them with questions or to reserve the space by emailing specialkidsspeciallove6@gmail.com. Their fundraising gala Reach for the Stars! is also coming up on January 30th. Despite Setbacks, Mall Managers Says It's Moving On! 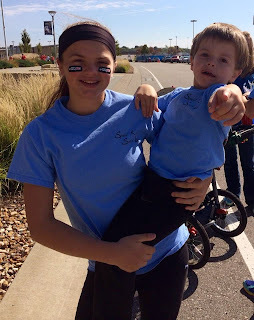 From Lacey Carpenter- Co-President of SKSL-Today I walk for Jack. 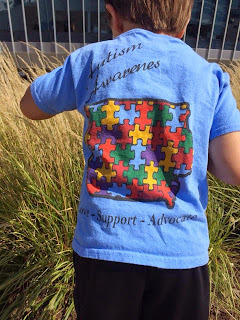 The challenges - the rewards of autism. The little milestones that scream big progress. I join a community of families who start as strangers yet instantaneously bond due to this unique connection. I walk thinking of the therapists and teachers who have abecome like family. Each one has walked a portion of this road with us and hold a special place in my heart as they work tirelessly to help Jack reach goals that seem so distant. I walk being grateful for @SKSL for being a continued support network and unbreakable friendship. 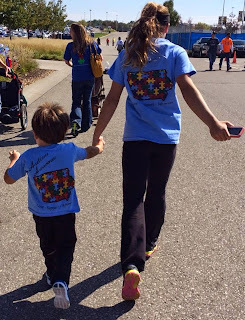 Autism has taught me unspeakable patience and unconditional love. It has given me strength to advocate without fear. But mostly, the art of functioning on minimal sleep and knowing that God's mercies are sometimes disguised.